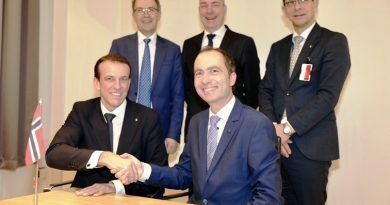 The DGA (Direction Générale de l’Armement) has just awarded a contract for technology development in the field of rotary-wing drones to the Naval Group and Airbus Helicopters consortium. The contract covers de- risking studies ahead of construction of a future tactical helicopter drone demonstrator aboard warships. The demonstration project will lead to trials of the drone launch system, mission system and airborne vehicle, conducted from a French Navy vessel. 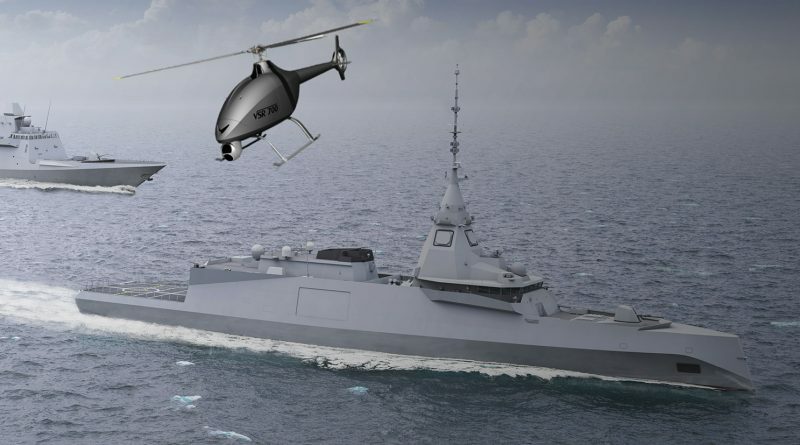 Naval Group, European leader for naval defence, and Airbus Helicopters, the world’s leading producer of helicopters, will thus join their complementary competencies and know-how in the naval and aeronautic fields to prepare the French Navy’s future rotary-wing drone system. Naval Group and Airbus Helicopters shall be jointly responsible for the industrial project management and shall coordinate wider input from French industry/sector. To this end, Naval Group and Airbus Helicopters shall act as the programme design authority and shall have Hélicoptères GUIMBAL, Thales Systèmes Aéroportés, Safran E&S and ONERA as their principal subcontractors. Naval Group has already started working on naval integration of aerial drone in 2005. 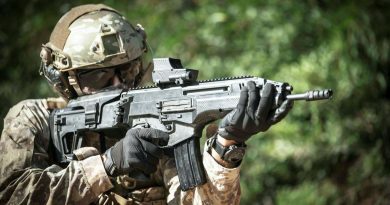 The DGA gave him, between this date and today, several studies contracts that led to develop this technology (R&D contract IND, R&D contract D2AD, Serval). The VSR700 can exceed 10 flight hours of operational autonomy with a payload capacity of up to 150 kg, offering performance levels that have, until now, been the reserve of aircraft of a significantly higher category and size. The system will benefit from all the know-how of Airbus Helicopters in terms of automated flight control (the guarantee of a unique automatic deck- landing capacity in rough seas), autonomous navigation system, secure data link, the integration of sensors such as radar and optronic systems, the management of complex mission systems and the certification of military aircraft. This expertise, which builds on a heritage going back more than 70 years, allows Airbus Helicopters to design a drone system that precisely meets the needs of the French Navy. The aerial vehicle has low maintenance requirements and strong synergies with the ships existing logistical footprint, thus limiting support and operations costs, while its compact size is compatible with the simultaneous use of an on-board helicopter across different surface ships.